WILLEMSTAD - ‘The Other Side of Hope’ is the title of the opening movie of the Curaçao International Film Festival Rotterdam on Wednesday, April 5, 2017, in Cinema 2 in Curaçao. The 98-minute movie is directed by the director from Finland Aki Kaurismäki. 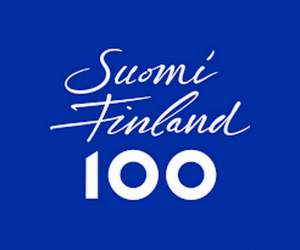 Honorary consul of Finland in Curaçao Helga Mensing considers it to be an honor for Finland that specifically ‘The Other Side of Hope’ is opening this prestigious festival since Finland is celebrating on December 6, 2017, it’s 100 years of independence. An important celebration to stand still at is how the country developed while looking at the future Finland is optimistically heading to. Finland was from 1809 till its independence part of the Russian empire. Before 1809, the territory now known as Finland belonged to Sweden since the 13th century. Mrs. Mensing explained that the celebration topic is “Together”; showing that everyone, being from Finland or friends of people from Finland are welcome to participate in the celebration because the creation and construction of the nation was a joined effort. The celebration of 100 years of Finland was important enough for Mrs. Mensing to personally show her gratitude to the organizer of the Curaçao IFFR, Gregory Elias for having ‘The Other Side of Hope’ to open this year’s festival. 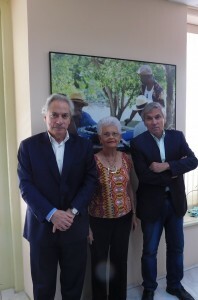 The desire is for everyone to go see ‘The Other Side of Hope’ either on Wednesday, April 5 or on Saturday, April 8.
the moment that honorary consul of Finland Helga Mensing visited the organizers of the Curaçao IFFR, Gregory Elias and Michael Elias.